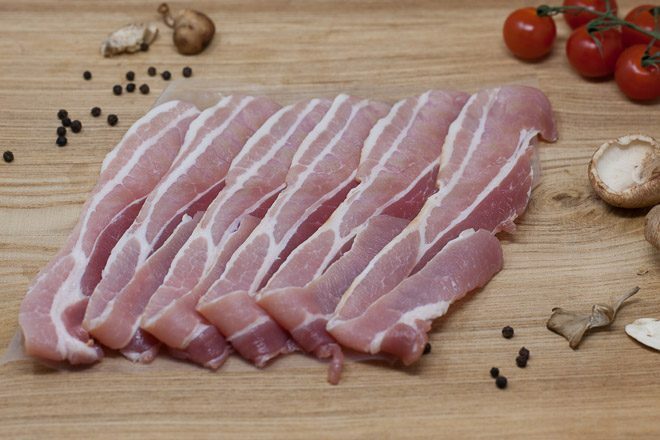 Our thick cut back bacon is cut from the loin. 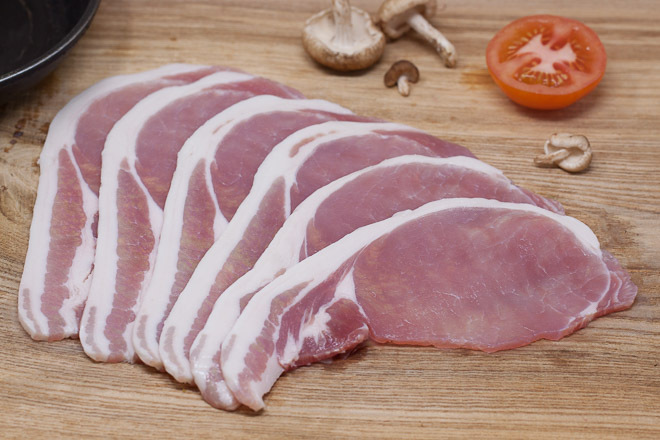 Naturally lean, our bacon is traditionally smoked to give it that strong, hearty flavour making it a perfect accompaniment for a full English breakfast! 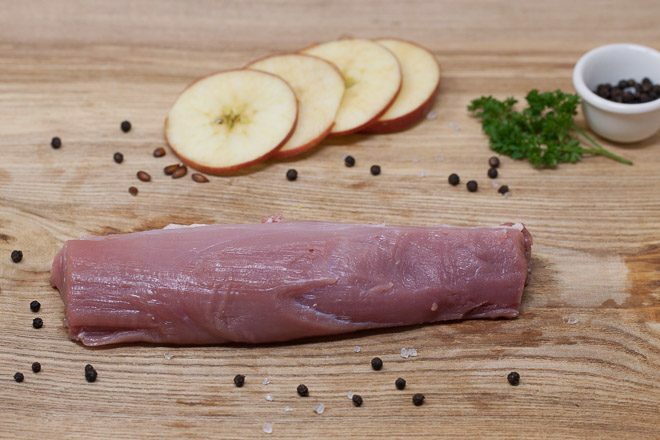 Our pork is sourced from West End Farm, Wiltshire, where the animals are reared to the highest welfare standards endorsed by RSPCA ‘freedom foods’ accreditation. The animals are reared outdoors and slowly mature in a natural environment before moving to loose straw yards where the conditions are just right for producing pork which is neither too fat nor too lean. 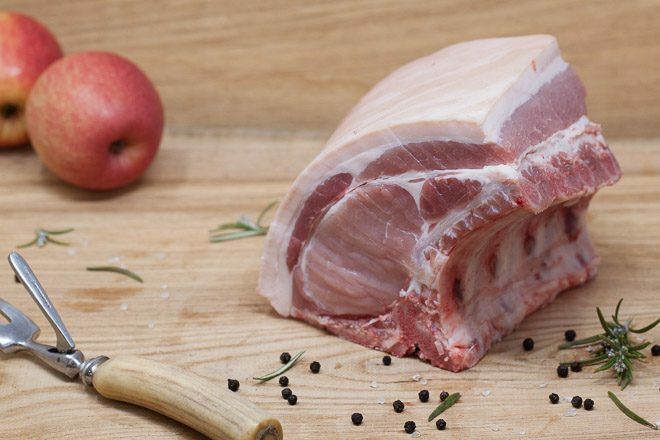 Our expert butchers hand-prepare the cuts and joints, scoring the fat for perfect crispy crackling every time!